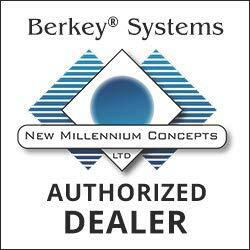 Here at BerkeyWaterFilters.com we now offer Super Berkeys. Super Berkeys are the full line of Berkey gravity water filter systems with British Berkefeld Super Sterasyl, silver impregnated, ceramic water filters. 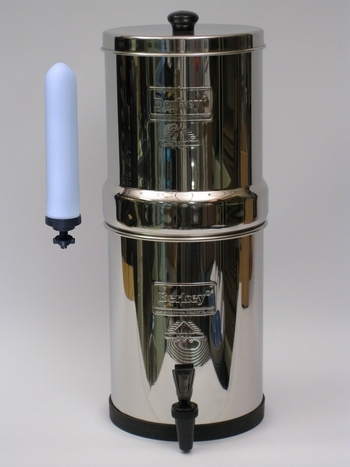 The Super Sterasyl filters, designed and manufactured in Great Britain for over 170 years by the Royal Doulton Company, have been used extensively worldwide for generations. They are the time proven life saver because of their ability to remove most bacteria and cysts including E. Coli, Cholera, Shigella, Klebsiella Terrigena, Cryptosporidium, and Giardia, as well as Chlorine, taste and odor.